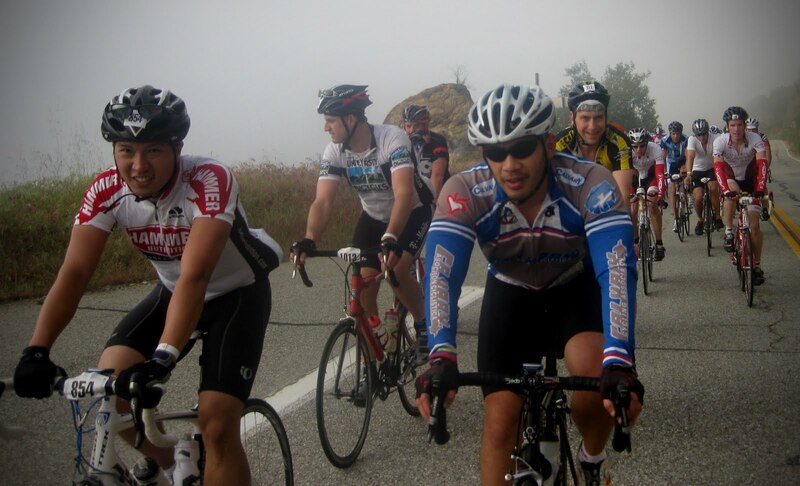 I am so excited, Amgen's Tour of California is coming in a week and international racers from Teams like HTC, Radio Shack, and SaxoBank will be part of the tour. 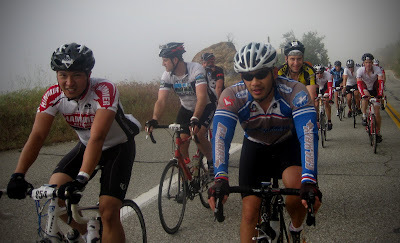 Today was L'Etape Du California and enthusiast had the opportunity to ride Stage 7, Claremont to MT Baldy. 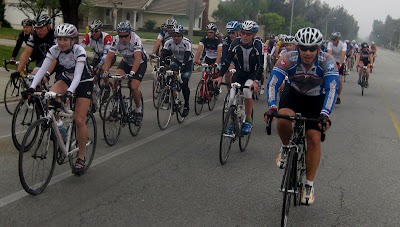 1500 riders converged on the streets of Downtown Claremont. It was a sight to see, so many riders ready to tackle this years tour's most grueling stage. I wasn't officially part of the organized ride, but I joined in and took advantage of the bicycle mob to ride "UP" Mt Baldy Road. Mt Baldy Road is a beast on many levels. It's only 8 miles to the village but it's steep and the tunnel passes aren't for the faint of heart. Mt Baldy gets more traffic than GMR and motorist travel up and down it at higher speeds than than GMR. Riders staged on First Street and the first wave cast off at about 7 am. We rode thur old town Claremont and passed many beautiful homes. 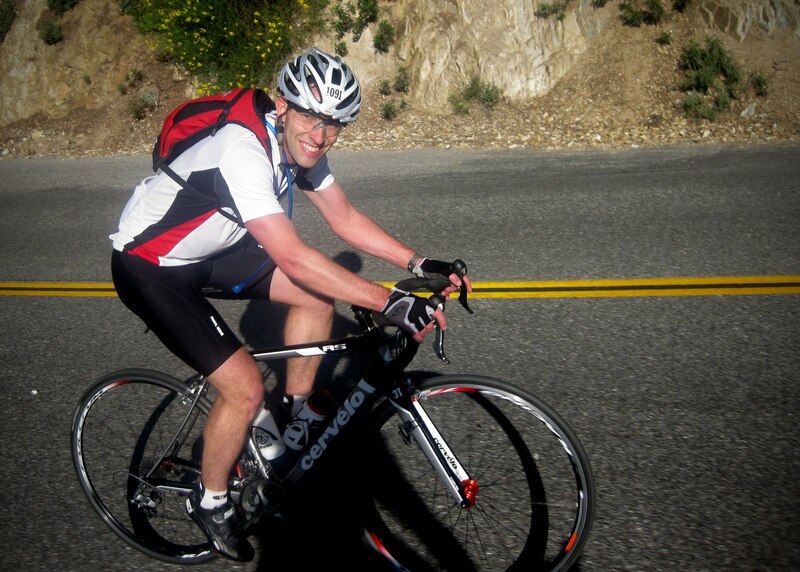 Shortly we converged on Foothill and then made our way up Mills Road to Mt Baldy. M & M; Merv and Mike are old college friends. David! 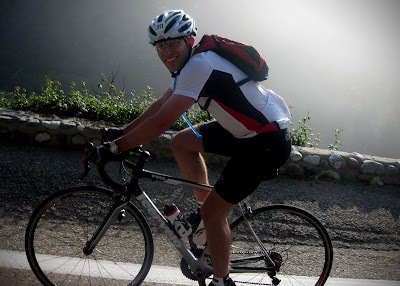 David was officially part of L'Etape Du California. 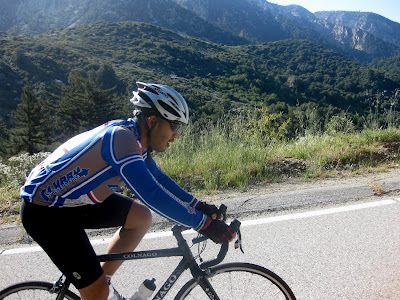 He was part of wave two and we rode for a few miles up Mt Baldy Road. Riding to Mt Baldy Village wasn't easy. From the village we headed to Cow Cattle Canyon.